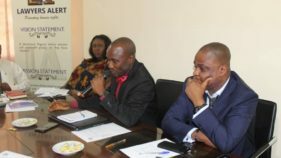 Mr Moses Siasia, the Chairman, Nigerian Young Professionals Forum (NYPF), said no fewer than 1,000 Nigerian young Chief Executive Officers (CEOs) would converge on Abuja from Aug. 3 to Aug. 4 for conference and exhibition. 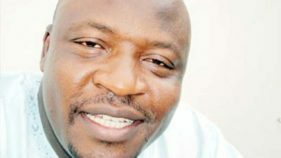 Siasia, who is the convener of the conference, disclosed this in an interview with the News Agency of Nigeria (NAN) on Sunday in Abuja. He said young Nigerian entrepreneurs and business owners resident in Nigeria and in the Diaspora would participate in the event. According to him, the conference with the theme “ Promoting Entrepreneurship and Innovation in Building Economic Leaders for Tomorrow’’ will be held at the Nigerian Air force Conference Centre. “It will among other things, afford young entrepreneurs in Nigeria the opportunity to exchange ideas with their peers from other parts of the world. “It will challenge and empower entrepreneurship mentality amongst its participants; and thus enable them to create an economic revolution in Nigeria, or any part of Africa where their businesses are located. “The conference will with focus on small and medium enterprises (SMEs), and its impact on the Nigerian and global economy. He said that the conference, which would look into key sectors ranging from Agriculture, Oil and Gas, Information & Communication Technology (ICT), Blue Sea Economy (Marine), Manufacturing / Processing, Creative Industry. The NYPF boss said the conference would engender a more integrated participation across Nigeria, by renewing commitment for a tighter bilateral and multilateral cooperation across associations representing Young Nigerians entrepreneurs.